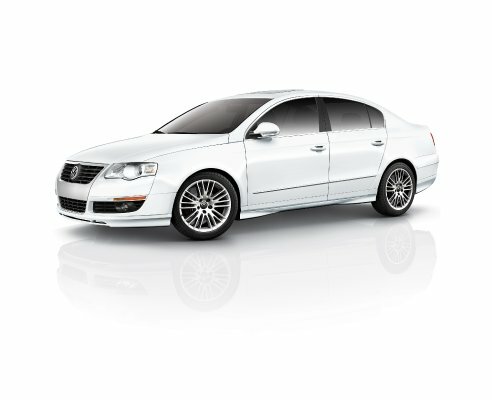 Looking for the best car lease deals December 2011? We’ve got the straight scoop here. Be aware that most of these lease deals expire either January 2 or 3, 2012, so there’s not a lot of time to snag that end-of-the-year bargain. 2012 Chevrolet Cruze – Chevy’s popular 2012 Chevrolet Cruze is available to qualified buyers with a 36-month lease for $169 per month, with $659 due at signing. This Cruze lease deal expires on January 3, 2012.
lease deal of $299 per month for 39 months with $3,319 due at signing. 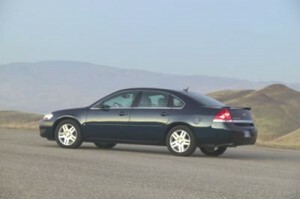 This lease deal is only on Impala with 1LS and goes through January 3, 2012. 2012 Chevrolet Malibu – Another midsize Chevy sedan is available with an attractive lease offer through January 3, 2012. 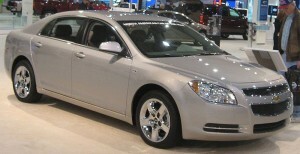 This deal on the 2012 Chevy Malibu is for $299 per month for 60 months with $0 due at signing. This lease deal applies to Malibu with 1LS. 2012 Volkswagen Jetta – With the 2012 Volkswagen Jetta S and automatic transmission, consumers can lease the popular sedan for $219 per month for 36 months with $0 due at signing. This lease deal excludes TDI models and expires January 3, 2012. $0 due at signing. Note that this lease deal excludes TDI models and expires January 3, 2012. 2012 Kia Optima – Kia’s popular and well-equipped 2012 Optima midsize sedan is available for lease with $189 per month for 39 months with $2,499 due at signing. This lease deal applies to Optima LX 2.4L GDI with automatic transmission and expires January 3, 2012. 2012 Kia Forte – The compact 2012 Kia Forte has two lease deals available through January 3, 2012. The first is $169 per month on a 39 month lease with $1,999 due at signing and applies to Forte Sedan LX 2.0L with automatic transmission. Consumers looking for the 2012 Kia Forte Koup EX 2.0L with automatic transmission can lease it for $179 per month for 39 months with $1,999 due at signing. Both Forte lease deals expire on January 3, 2012. 2012 Mazda Mazda6 – Mazda is offering a $229 per month for 36 months lease with $1,823 due at signing on the 2012 Mazda6 i Sport trim with automatic transmission. Note that the lease is available in the Northeast, Southeast, Gulf States, Midwest and West areas and expires January 3, 2012. 2012 Mazda MX-5 Miata – They don’t come any more zoom-zoom than the 2012 Mazda MX-5 Miata roadster, and for December, the lease deal is pretty good, too. In fact, there are two lease deals. The first is for $289 a month for 36 months with $3,384 due at signing, available on Sport trim with manual transmission. Lease deal is available in the Northeast, Southeast, Gulf States, Midwest and West areas. The second lease deal is $349 a month on a 36-month lease with $3,444 due at signing on the MX-5 Miata Touring trim with manual transmission and power retractable hardtop. This lease deal is also available in the Northeast, Southeast, Gulf States, Midwest and West areas. Both MX-5 Miata lease deals are good through January 3, 2012. 2012 BMW 1-Series – Lease the luxury compact 2012 BMW 1-Series for $419 per month on a 36-month lease with $3,644 due at signing. This lease deal expires January 3, 2012. 2012 Lexus IS – If the sporty 2012 Lexus IS is more your cup of tea, Lexus has a lease deal good through January 3, 2012 offering a 36-month least at $329 per month, with $3,979 due at signing on the IS 250 AWD model.